It’s a multi-device world, and it’s common to use multiple devices to bank, shop, share, and socialize online, everywhere, all the time. Protecting just your PC is no longer good enough. Your entire digital life needs to be secured. McAfee LiveSafe 2018, formerly known as McAfee Multi Device Security or McAfee All Access, provides trusted protection with the convenience of a single subscription for all your PCs, Macs, smartphones, and tablets to keep you and your family protected online. 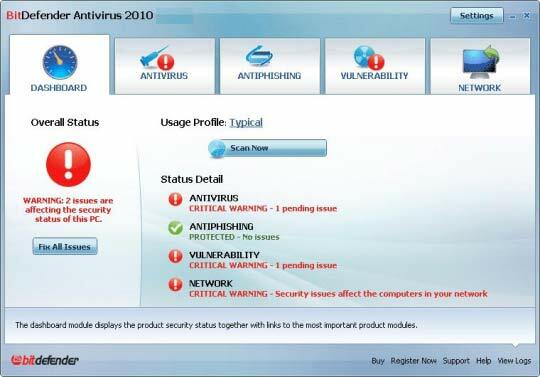 Comprehensive security blocks viruses, malware, ransomware, spyware, unwanted programs, & more. Also comes with the True Key identity Manager and secure cloud storage for photos and important documents. Whatever you do, wherever you go, McAfee LiveSafe allows you to live online with confidence. Monitor social networking activity, protect yourself from malicious posts and filter inappropriate content. Keep your passwords and personal information safe and avoid sharing dangerous links. Block Spam and Dangerous Email. The majority of emails are spam, and much of that spam is dangerous, offensive, or both. McAfee spam filters constantly protect you from exposure to this shady side of the Internet. Parental Controls. Free your kids to learn and explore online. McAfee lets parents use age-based rules and adjustable categories to block inappropriate sites and limit online time. PC Tune-up. Unused applications, cached browser files, and other junk slow down your PC. McAfee QuickClean software removes the clutter so your computer can keep up with your digital life. 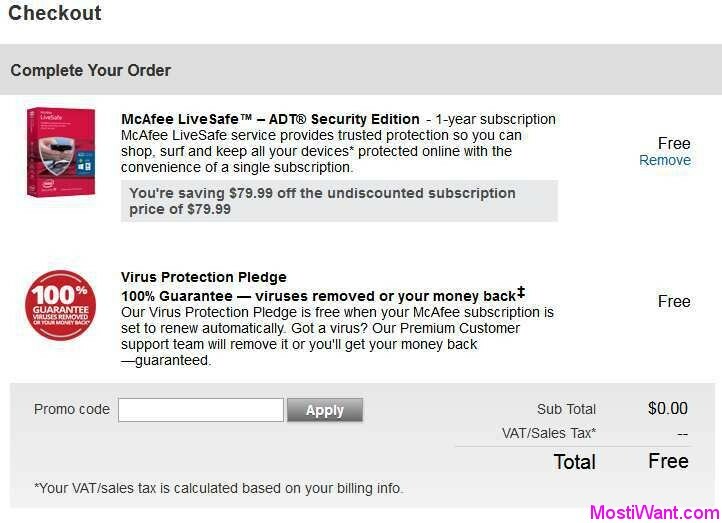 McAfee LiveSafe 2018 is normally priced at $99.99 for a 1-year Subscription. As part of the promotional offer, you can download McAfee LiveSafe 2018 full version with one full year subscription for FREE. Not sure for how long the giveaway is going to last, which means it’s probably best to grab the goods while the offer is still live. Credit Card is required for this giveaway. 1, You should better clear browser cookies first, and then Visit the promo page here. Make sure the total = FREE, otherwise remove additional product to make total price to $0. 2. Create a Mcafee account, and then complete your order. Credit Card is required (you may by pass it through Fake CC,but that is not completely legal so I’d advise anyone to use their own card). Remember to turn off the auto-renewal option or else Mcafee will auto-renew you for another year before the end of each subscription period. 3. Once you have completed the order, hit the GET My Trial or Go to My Account button to go to your Mcafee account. 4. At your Mcafee account, you will see that you have Free one year Subscription of McAfee LiveSafe 2018. 5. Now press the DOWNLOAD button and you will be given your serial number at the next screen. Then download and install McAfee LiveSafe 2018 and activate it with your serial number. Enjoy your complimentary one year full version McAfee LiveSafe 2018. Note: The additional 12 months from McAfee contains future automatic renewals! 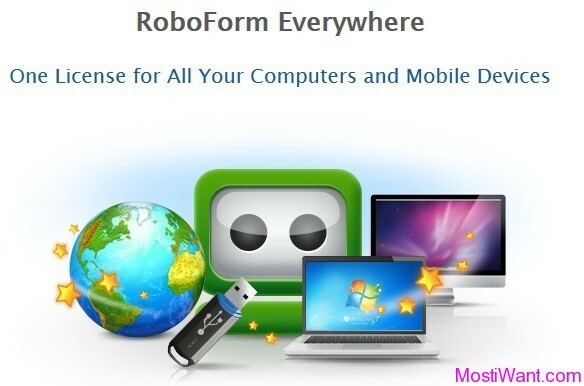 If you do not want to pay for this software, be sure to cancel auto-renew before the end of free one-year subscription. Here over to this page to turn off the automatic renewal feature. william!! the promo code is not valid!!!!! Sorry, it’s expired now I think.